Portray your brand in the right hue with our Colored Rectangles business card design template, perfect for beauticians, hairdressers, salons, studios, artists, designers, and any other business with a sense of style. The front of our Colored Rectangles template features your name and company name in bold typography, and draws attention to your contact information with colored rectangle icons. 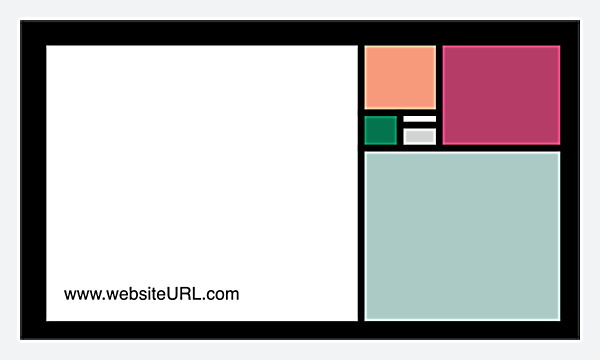 On the back, your website URL is framed by an artistic arrangement of colored rectangles. Print business cards customized to match the look of your brand by selecting one of five available color palettes and four unique edge trim finishes, then personalize your text to make your business cards your own. With our online business card maker, you don’t need to be a designer to print professional-looking business cards. All you need to do is follow the on-screen prompts to select your color scheme and point-and-click your way to adjusting text, fonts, and business card layout. 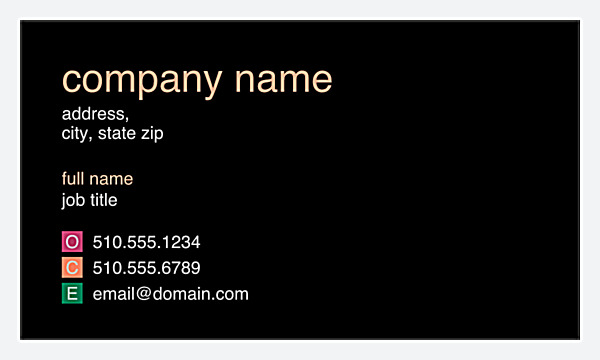 It’s the fastest and easiest way to design your own business cards online! Want quick printing turnaround and reliability? Look no further than business card printing by PsPrint. We use only premium paper stocks and vibrant, eco-friendly soy-based inks to bring your design to life. Your satisfaction is guaranteed!